I think I can confidently say that Rodney Bullock has fully assumed his role as “the guy” on this year’s Providence Friars Men’s Basketball team. Bullock finished with a career-high 36 points for the Friars, accounting for 47% of the team’s total points as PC took down it’s second American East opponent, the University of New Hampshire, to kick off a 6-game home stretch. The UNH Wildcats has no answer for Bullock who scored in a variety of ways en route to the 16 points win. Kyron Cartwright (12 points, 4 assists) and Jalen Lindsey (11 points) rounded out the scoring for a rare comfortable win in an appetizer to the big rivalry match-up with URI at the Dunk on Saturday. Bullock was a very efficient 12-21 on the night and 5-8 from three. The entire team actually shot well from three tonight, going 12-21 from distance (57.1%). Unfortunately, UNH was able to keep the game closer than it actually was in the 2nd half as the Friars also gave up 10-25 (40%) from three on defense. The Friar shot 45.8% from the floor tonight (good) but an unusual 58.8% from the free throw line (bad). For the season PC is shooting 42.8% from the floor and a very impressive 79.4% from the line. Fortunately, this game had enough of a cushion where the free throw shooting didn’t become a factor. Bullock also led the team in rebounds with 6. Bullock also led the team with 3 steals. Quite the clever little play from Rodney if you ask me. So, it wasn’t exaaaactly like McGrady, but who is really pulling off this in a college game? Rodney Bullock set his career-high for the second time already on the season. After scoring 20+ just 4 times last season, Bullock has already scored 20+ 3 times in the first 7 games, scoring 18, 18, 18, and 16 in those games under 20 points. Cartwright led the team with 4 assists and is now averaging 7.6 assists per game on the year. His turnovers have taken a little bit of an uptick over the last couple of games, but the way he started the season was unsustainable. He know holds a 2.4:1 assist to turnover ratio for the season, including a nice little leave for Bullock that set his new career-high. Emmitt Holt struggled from the floor in the game, shooting just 2-8 for the night but in a little bit of a silver lining, he did hit a three from the corner. If he’s able to start hitting that consistently (and only taking them when they’re open), that can open-up some pump and drives for him in the future. He’s struggled from three so far this year but the sample size isn’t huge, so I’m OK with them for now as long as he doesn’t force them. I thought Jalen Lindsey was fantastic all night, both offensively and defensively. He shot 4-5 from the floor for 11 points including 3-4 from downtown. He was extremely active on the defensive end and filled up the stat sheet nicely (5 rebounds, 3 assists, 2 blocks, 1 steal). Everything he did tonight was positive. Ryan Fazekas wasn’t much of a factor tonight but made his defender chase him around all night. It also made everyone on UNH be aware of where he was when running off screens, so even when he’s not providing much offense, he’s still making the other team work. I love seeing Drew Edwards on the floor, just love it. I thought all of the Freshman looked really solid tonight. Alpha Diallo, who may have the best posture in the league, is looking more comfortable with every game, including a pump fake, followed by a blow-by, and a smooth little lefty lay in. Maliek White especially had a very nice game. Yes, he had three turnovers, but I thought he looked like he belonged on the floor. Kalif Young is still big. The two Freshmen teamed up for a nifty fast break in the first half. I am just comfortable when Isaiah Jackson is on the floor. He’s a total glue guy. He didn’t score a single point but was still able to effect the game when he was playing. He had 5 rebounds, 2 blocks, 1 assist, and 1 steal in limited time. He always seems to be involved in every play. 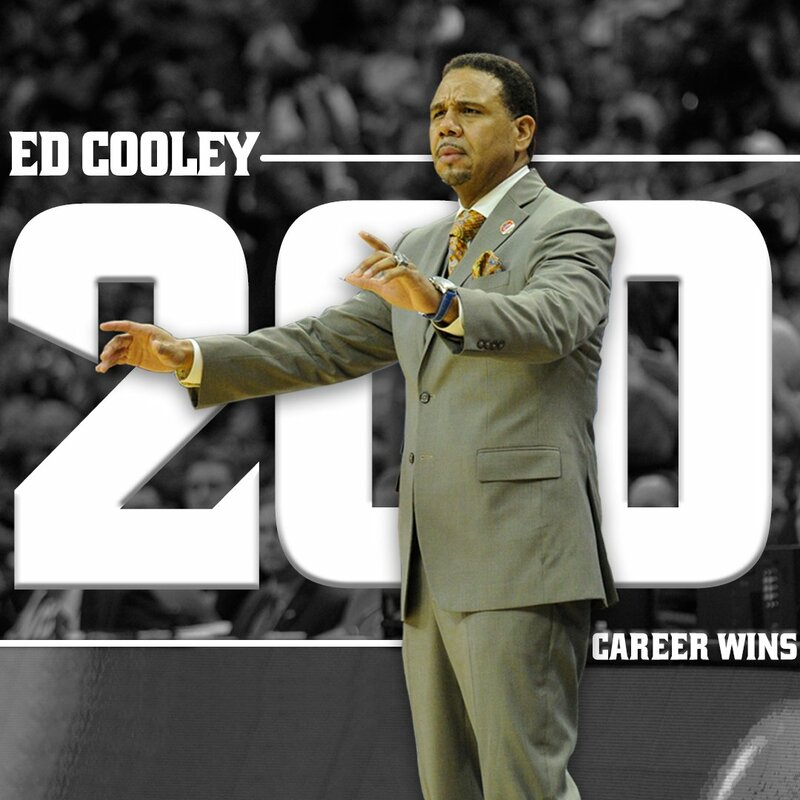 Tonight was Ed Cooley’s 200th career win as an NCAA Head Coach. 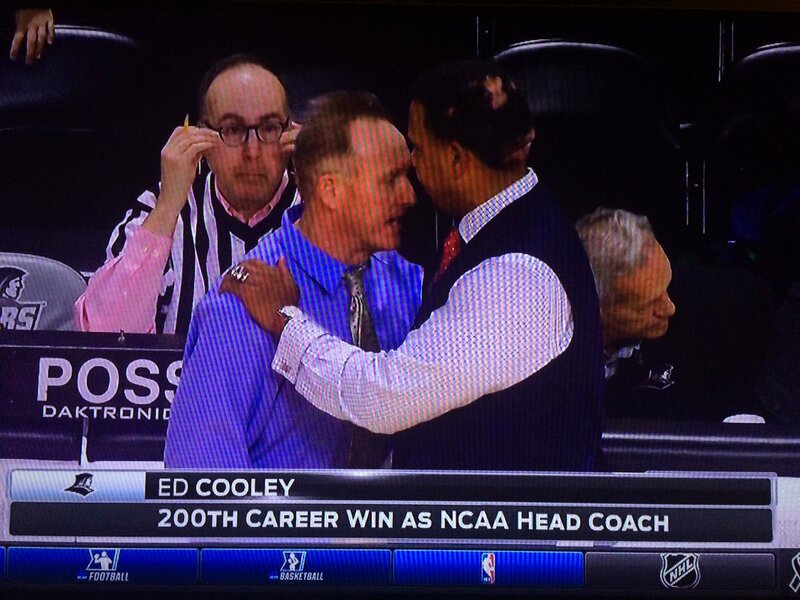 Coach Cooley is now 108-69 at PC. Congrats Big Ed! The Friars will take on in-state rival URI on Saturday at 4:30 PM at the Dunkin’ Donuts Center. There will be blood.